No self-respecting Minecraft house is complete without a state of the art automatic cobblestone generator. But what does the average Minecrafter need with a bunch of cobblestone? To put it simply, sometimes you just need a bunch of blocks. I cannot tell you how many times I have been in the midst of a trap, animal pen, or basement only to find myself short on the second most common block of them all. If you're tired of going out in the cold, dangerous night to collect more stone for your projects, look no further. 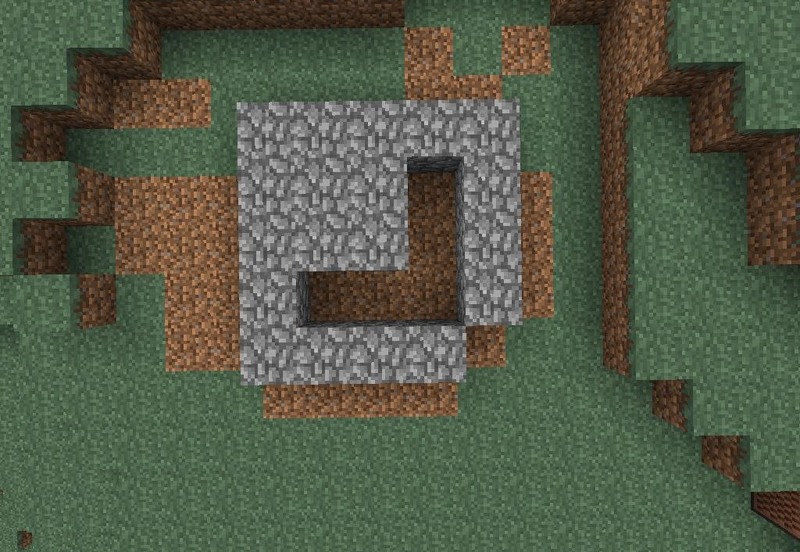 The automatic cobblestone generator is a mechanism driven only by the physics of Minecraft that allows a player to generate virtually infinite blocks of cobble simply by holding down their right mouse button. While there are many cobblestone making machines on the market, most are needlessly complicated and very time consuming to create. Today we will be making what is probably the simplest and easiest to use cobblestone maker possible. 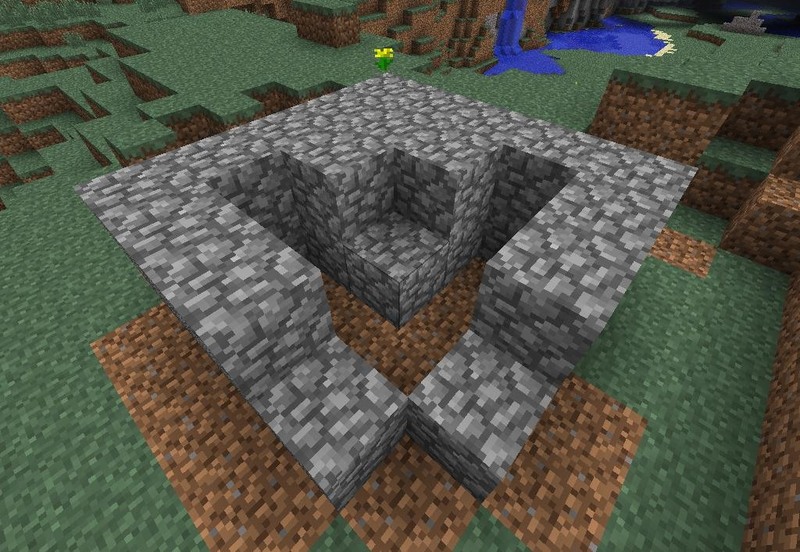 This cobblestone maker starts by creating a five by five block square of any non-flammable block you wish to use. 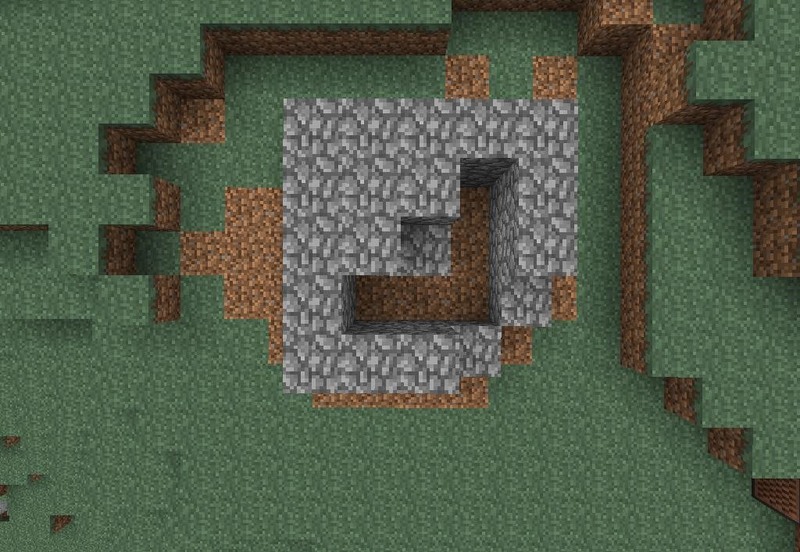 Spoiler alert, I used cobblestone. Lay out a five by five square of blocks, leaving out a three by three section in the square as seen above. Remove also a corner of the square. This is where you'll be recieving your effort free cobblestone. (1) Next, place a second layer of blocks on top of the first leaving out two blocks on the left and right of the corner, and the block in the exact center. (2) Here is the second layer, from another view. (1) Now, add the third and final layer to the cobble maker leaving out the center block and two blocks diagonal from it. (2) Here is the third layer from another view. (1) Now place water in the holes on either side of the center block. 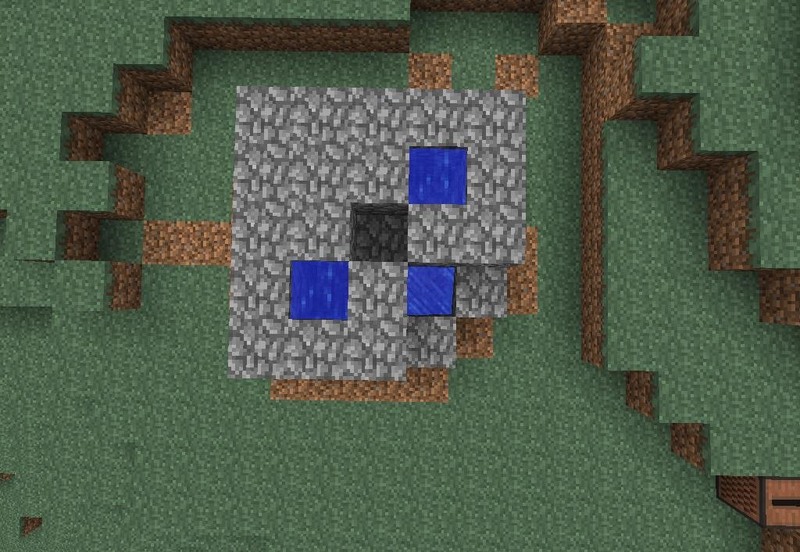 , (2) Here from the front of the cobblestone maker you can see that the water flows to the front, so as to send the cobble towards it's user. (3) Finally, place a bucket of lava in the center block. 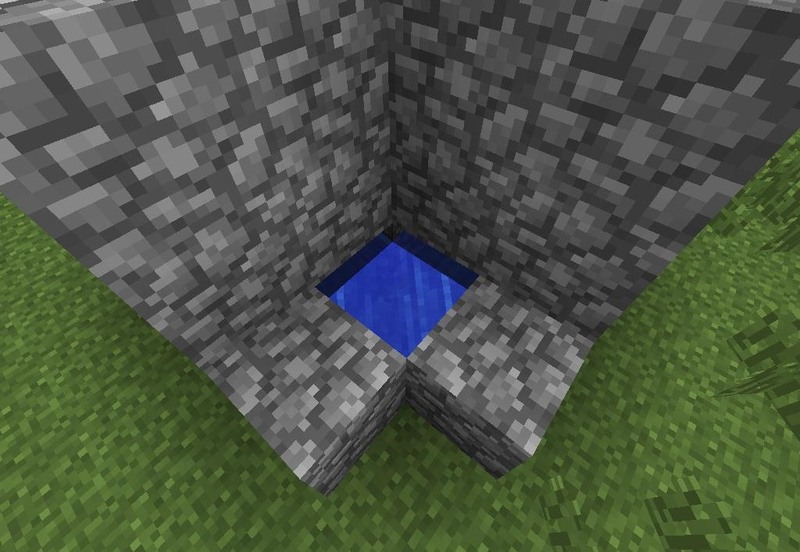 Be sure that both the water and lava blocks are placed on the top most layer so that they fall downward. 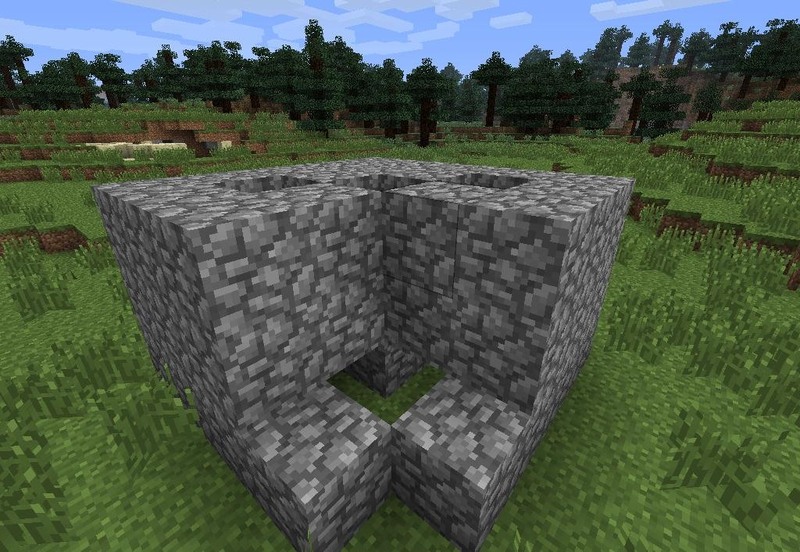 Cobblestone occurs naturally in Minecraft when lava interacts with water. You've probably seen cobble form when a flow of lava runs into a lake or ocean. This is not to be mistaken with obsidian, which forms when water interacts with lava, such as when a stream of water hits a bed of lava. All the automated cobblestone maker is doing is recreating this naturally occurring event in a convenient fashion. (1) To use the cobble machine simply hit the two front blocks of the machine with your pick axe as seen in the screenshots below. Here I am hitting the front right block of the cobblestone maker. (2) As the cobble block breaks it falls into the flow of water to the front of the machine. Now that there is nothing keeping the lava from flowing into the water stream cobble is made. 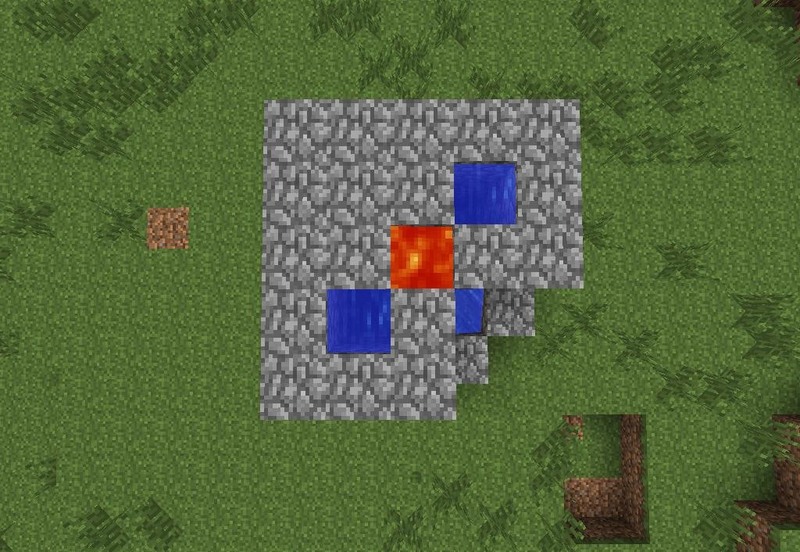 (3) As the lava touches the water it creates a cobble block, filling the empty space. (4) You can do the same with the front left block of the machine as well. 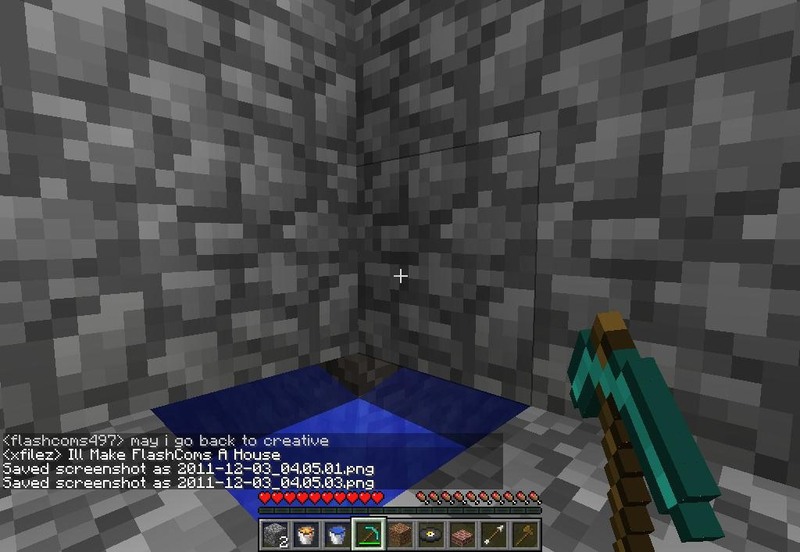 Using a diamond pick axe you can easily mine 120-150 cobble a minute! There you have it: with the click of a button all the cobblestone you've ever wanted is yours. Not only does this machine create endless cobble, it's easy to build and so compact it can fit just about anywhere. 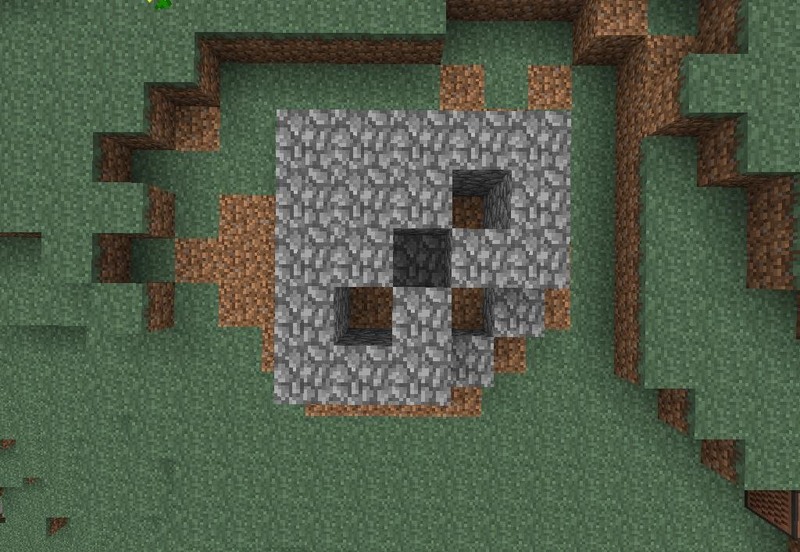 Now you no longer have to destroy the landscape mining stone, risking your life in the process. As always if you have any questions feel free to post them in the comments section below. I actually used something similar for that.